In total these countries have a population of 333 million (3rd largest if it were a single country) and a GNI of $12.7 trillion (2nd only to the United States). In addition to the countries above both Montenegro and Kosovo have unilaterally adopted the Euro, which means that while they use the currency, they rely on Euros already in circulation and are outside of the European Central Bank. Andorra, Monaco, San Marino and the Vatican all have monetary agreements with the Eurozone to use Euros and each issue their own Euro coins. Denmark got an opt-out in the Maastricht Treaty allowing it to avoid using the Euro, but it remains in the European Exchange Rate Mechanism (ERM) II. This means that the value of the Danish Krone is supposed to remain within 2.25% of 7.46038 krones to 1 Euro. In theory this would make it very easy for Denmark to join the Euro at a future date. However, for that to a happen a referendum has to be held. The 2000 referendum resulted in a 53.2% no vote, with support for joining now substantially lower. The United Kingdom and Sweden also got opt-outs when they joined the Euro and both sit outside the ERM. Neither currently have plans to join the currency. 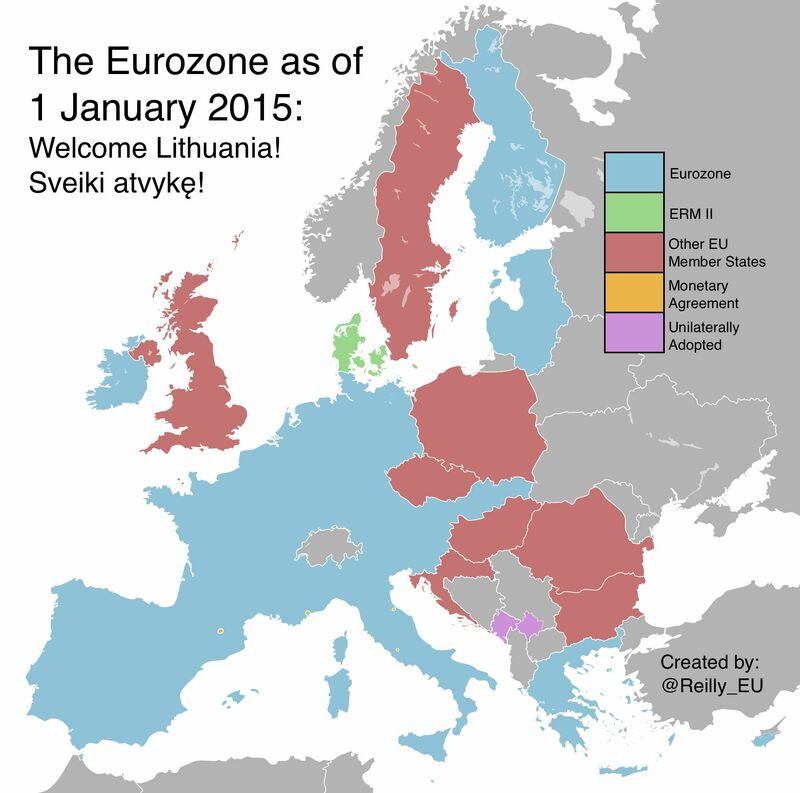 Poland, Czech Republic, Hungary, Croatia, Romania and Bulgaria have all pledged to adopt the Euro, but all currently sit outside the ERM, which is the prerequisite to joining.